The Best Me Life Journal was created to help bridge the gap between a daily planner, a notebook, a gratitude journal and a goal planner. Calum Best, a television personality and entrepreneur has used the Best Me Life daily formula to help better himself over the past 6 years, knowing that drastic change was needed following years of imbalance and ‘going with the flow’. Part of this change was a journal through which he could simply write down his goals. He then took small steps daily towards achieving them, as they had a dedicated focus. He understood that without doing the “Goal Math” it would be impossible to achieve these goals; they needed to be at the forefront of his day, every day. He remained thankful for where he was, gave back to those who helped him get there, appreciated small victories and stayed positive about the future through planning. These were all kept in focus with the help of his daily Best Me Life journalling. 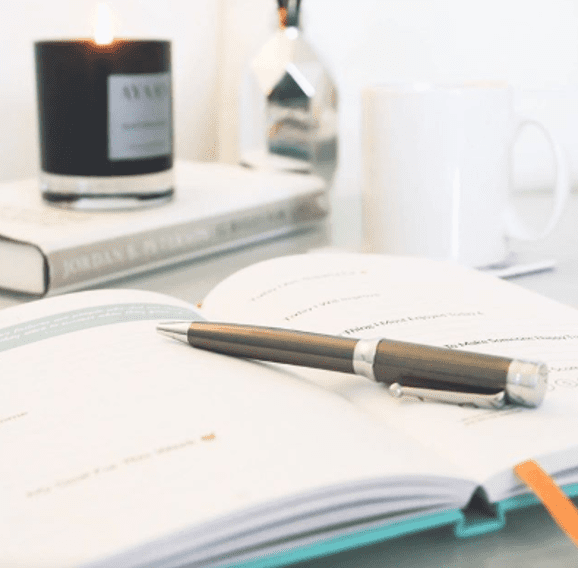 The Best Me Life Journal is chock-full of simple and effective methods to help increase your energy, focus and wellbeing. These methods have been proven to raise both your productivity & success rate over a 3 month period, in both mind and body. Made from vegan leather we encourage the monogram personalisation of the luxury journal.